A few years ago The Hospital Players staged ‘Toad of Toad Hall.’ It proved to be one of the most enjoyable, and enjoyed, productions in the Society’s history. 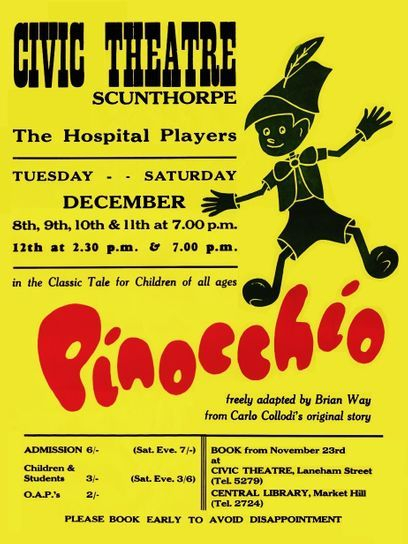 This year Pauline Clayton, the producer of ‘Toad,’ is directing another classic children’s play – Pinocchio. 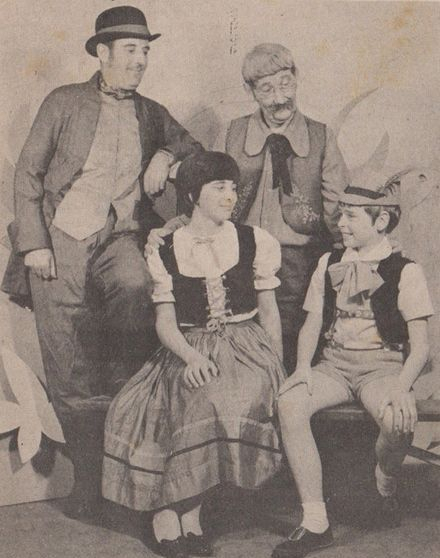 The story begins with Pinocchio’s creation by the old puppet maker, Gepetto; but once over the first unconsciously funny attempts to, literally, find his feet, he is off on a trail of mischief and adventure. Mr. Fire Eater and his puppet show, a fat policeman, the plausible villains Fox and Cat, a matter-of-fact Good Fairy, a sinister coachman, a helpful clown, a sea monster, the Circus Master and his troupe: colourful characters and situations race by as Pinocchio pursues his merry pranks. The adventures of Carlo Collodi’s famous puppet have been retold in many ways. This lively version by Brian Way is full of movement and colour, and will both absorb and involve even the youngest of children.